Topics: “Understanding the complexity of CKD-MBD”, “Using our understanding of the evolution of SHPT to choose the right target at the right time” and “Balancing theoretical targets with practical considerations for phosphate management”. Topics: “New insights into the role of FGF-23 in CKD-MBD and beyond”, and “Management of secondary hyperparathyroidism with injectable etelcalcetide”. The ERA-EDTA Working Group on Inherited Kidney Diseases (WGIKD) and ERKNet, the European Reference Network for Rare Kidney Diseases are happy to present Rare Kidney Disease Webinars, an educational initiative that is freely accessible to all users. A new Webinar will be held on TUESDAY, September 18, 2018 at 4:00-5:00 pm CET (3:00 pm UK time, 5:00 pm Eastern European time). Marius Miglinas (University Hospital Vilnius) will present on ‘A spectrum of complement-mediated thrombotic microangiopathies after kidney transplantation'. Register here, to receive the access link to the Webinar. Please pay attention to the technical requirements provided with the access link. 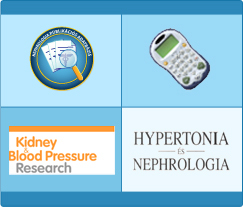 If you would like to be notified automatically about future Rare Kidney Disease Webinars, please sign up here >> for the ERKNet Newsletter. You can find the schedule for upcoming Webinars and past presentations at http://www.erknet.org under the ‘Education & Training’ tab.